For Famed Rock Climber, A 'Big Break' That Thankfully Wasn't Literal Alex Honnold has scaled the sheer face of Half Dome in Yosemite, Calif., without the aid of ropes — and entirely alone. Still, he says his big break didn't arrive until a TV producer approached him. So it's crucial that the handholds he uses do not break beneath his grip. But he does credit one moment, happily, with being his big break. "The first thing I think of is being featured on 60 Minutes. 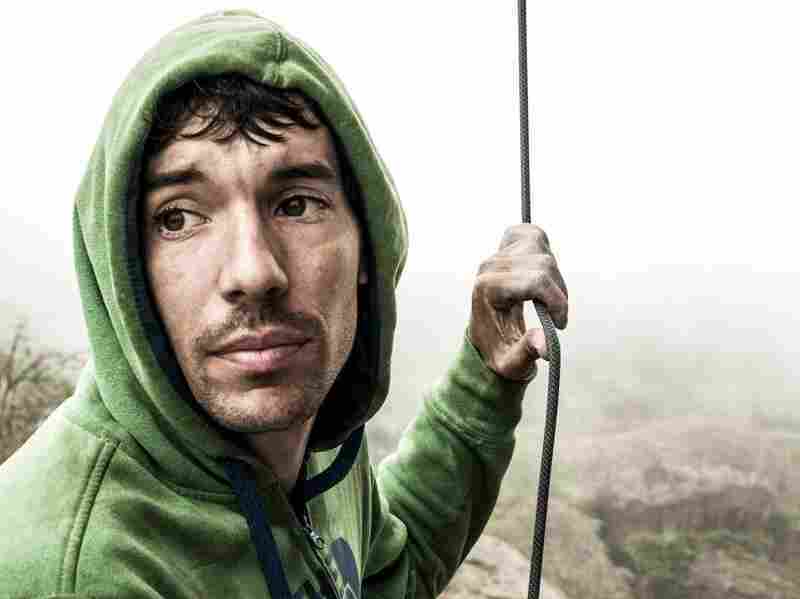 It's probably the one thing that set me on the path to devoting my life to being a professional climber," Honnold says. "I was very much a dirtbag climber living in my van, and this producer from 60 Minutes approached me and said, 'This is going to change your life. This will be the biggest thing you've ever done.' "
"I often joke that I've become a professional schmoozer," he says. "Like nobody really cares how well I can rock-climb anymore; they just care how well I can schmooze." But before the hype, Honnold was a college dropout, living out of his mother's borrowed minivan, driving from climb to climb. And schmoozing hasn't always come easily for him, either. As a kid growing up in Sacramento, Calif., he was too shy to approach strangers at the climbing gym. One side effect of this shyness was that he got used to rock climbing by himself, without a rope. "I suppose being a bit of an antisocial weirdo definitely honed my skills as a soloist. It gave me a lot more opportunity to solo lots of easy routes, which in turn broadened my comfort zone quite a bit and has allowed me to climb the harder things without a rope that I've done now." But there was one climb in particular that tested his limits and brought him to the attention of the climbing community, and eventually the wider world: when he decided to climb Half Dome in California's Yosemite Valley. "It's a route that everybody aspires to and physically looks up to, because anywhere in Yosemite you look up at that wall." "Basically I was able to climb the wall on autopilot. 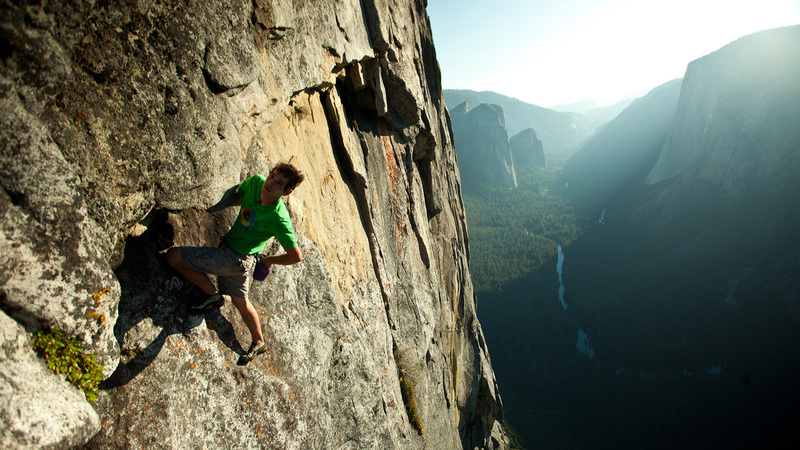 I'd already made all of the hard decisions," Honnold says. "But then, basically my autopilot started to run out by the time I got to the top, because I was just starting to get tired, and it was hard to maintain that focus." Near the top of the wall, just 100 feet from safety, he heard the laughter of day hikers who had reached Half Dome's peak on a far easier ascent. The sounds of others snapped Honnold out of his fade. "I just took some deep breaths, and finally said 'This is what I have to do. I'm going to trust this foot,' and then I just stood up on the foothold and that was that." He completed the climb that day, eventually even walking among those same day hikers he'd heard while climbing.